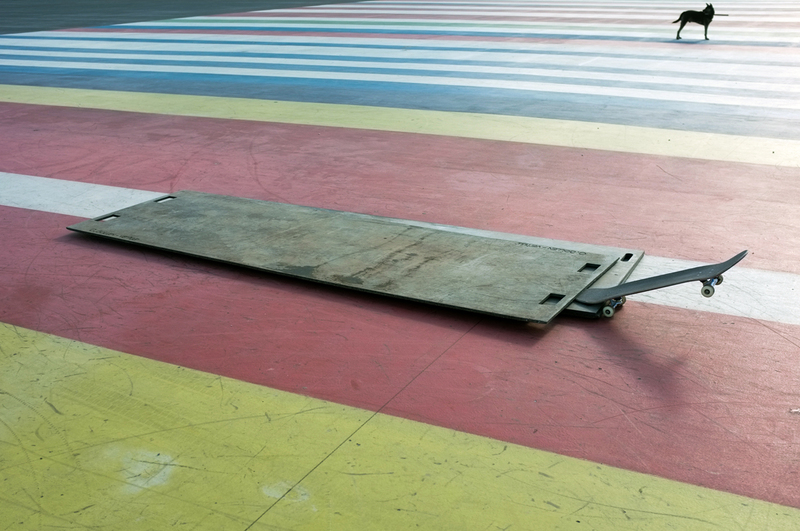 Since 2011, skateboarders from all over Europe have flocked to a large concrete slab in OMA’s Museum Park in the city center of Rotterdam as a local spot for tricks and meetups. 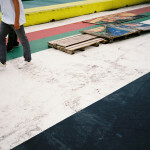 Nicknamed “Rem’s Flag,” the spot is painted with a massive 492-foot version of the EU Barcode, a multi-colored barcode design by architect Rem Koolhaas, conceived as an equal display of the flags of the European Union. 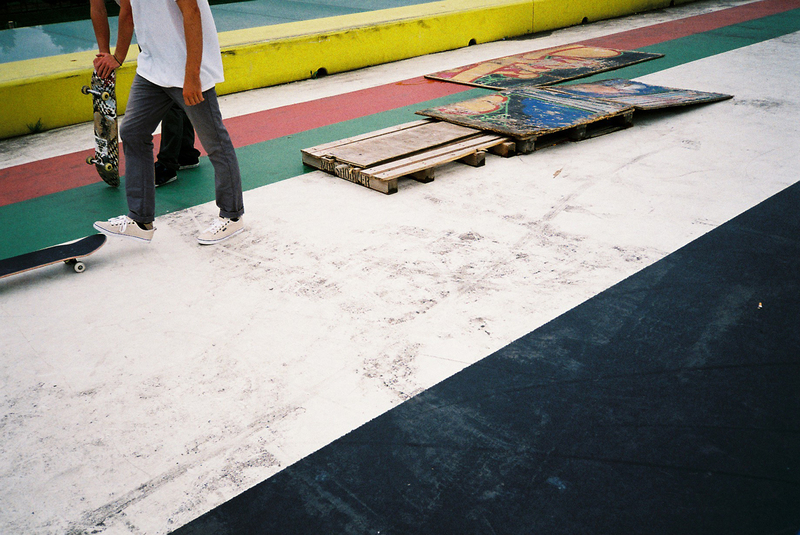 Various objects have been “barcoded” with the Koolhaas flag. 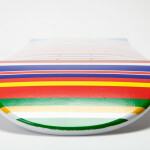 The most recent is a set of 80 limited edition skateboard decks, a collaboration between surf-inspired skateboard brand Dufarge and AMO, an OMA think tank, in honor of the Rem’s Flag skating experience. 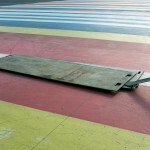 For skaters at Museum Park, the EU Barcode at Rem’s Flag is a challenge: only the best can land their tricks on its straight lines. 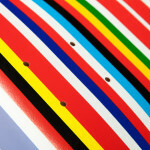 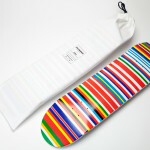 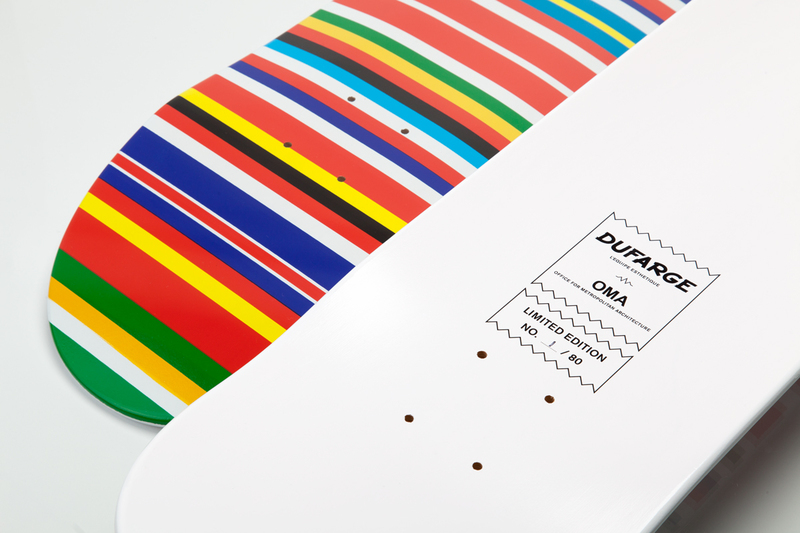 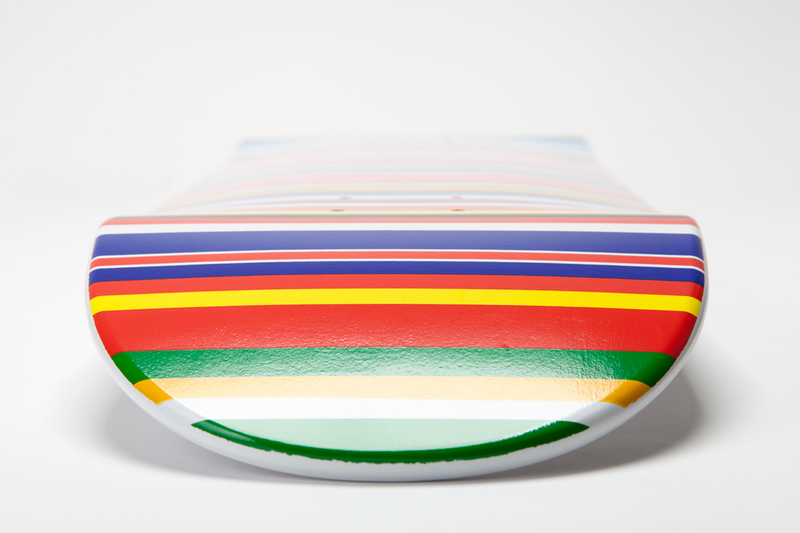 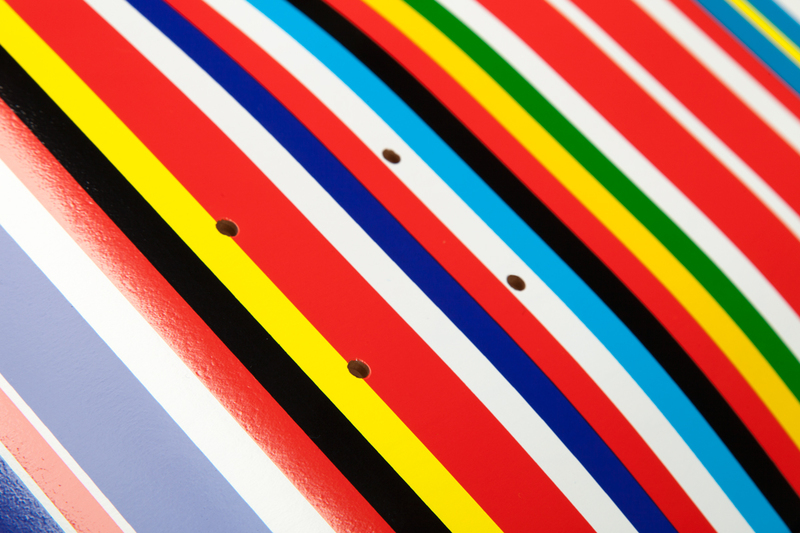 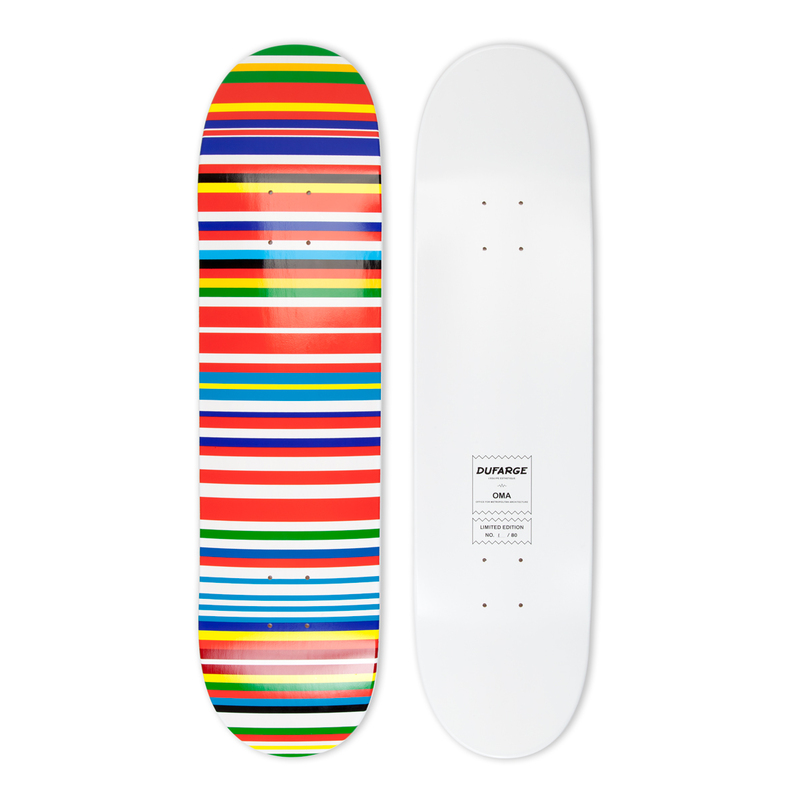 Working with Generator, a Southern California–based custom skateboard company, Dufarge and OMA scaled the barcode to screenprint on each hand-numbered deck. 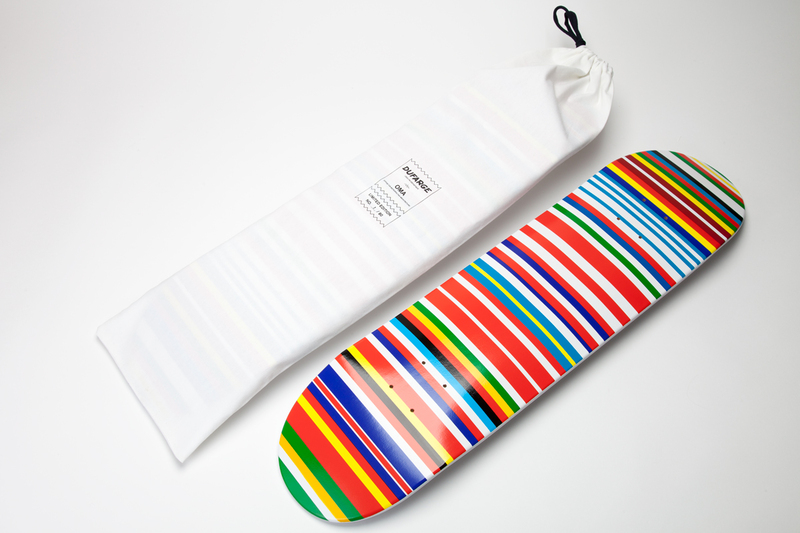 Taking care to match the country-representative colors exactly, the high quality boards honor Koolhaas’ design and the OMA urban space that has become iconic in the skateboarding world.